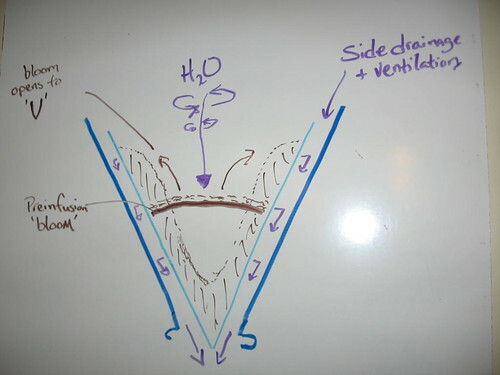 v60- bloom diagram, originally uploaded by coffeedirtdog. 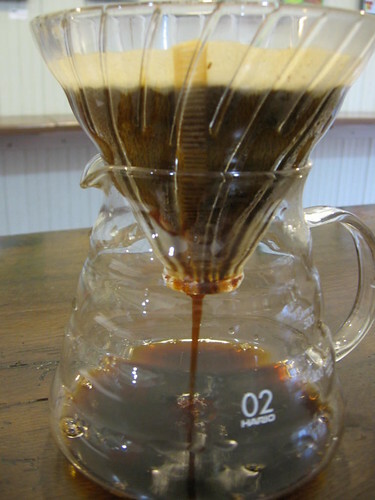 Compared to other manual methods, v60 is unique because you have control over flow rate. In most every brew method, we can control the temperature, dose and grind. What's difficult is to control the flow rate or water debit in most manual brews. 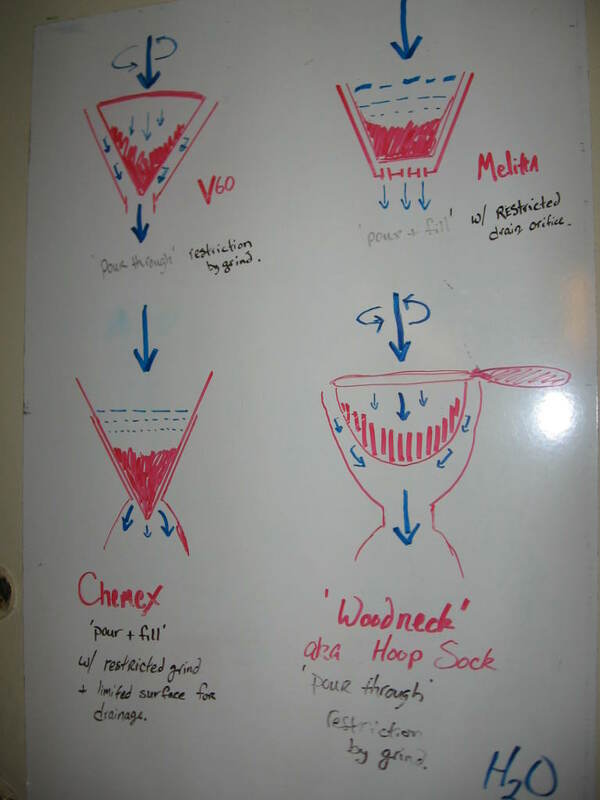 Pour and fill methods like Melitta and Chemex are restricted by grind and drainage orifice. V60 has the signature ridged sides which allow for ventilation and side drainage while the drain orifice is large and won't restrict flow. 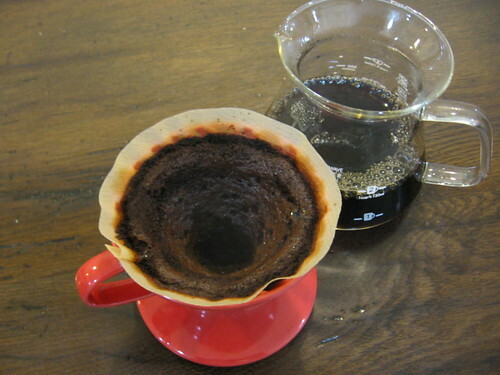 A Chemex cannot drain from the sides and Melitta is restricted by the orifice, v60 has neither problem. What has been problematic so far with v60 is that many people are just brewing it like a Chemex and that does not produce the same results v60 were designed to achieve. Much attention needs to be put on the bloom and a proper preinfusion with a controlled pour technique. The results can be seen in an evenly extracted v shape in the brewed grinds. For better results with the v60, start with one of our brew guides (available on request with an order) and adjust to taste. We will be posting a 1 cup how to guide soon. For wholesale or commercial training requests on any of the Hario products, please contact us directly as we will be happy to assist.